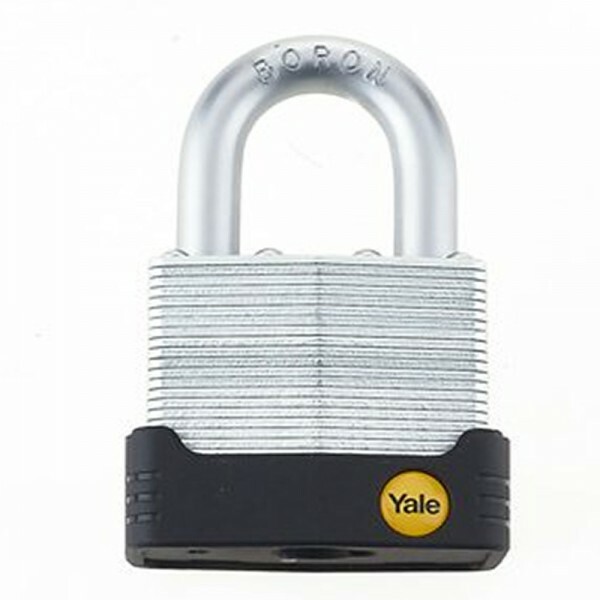 The Yale protector laminated steel padlock 55mm has an anti-cut boron shackle. With its anti pick 5 pin cylinder and double ball locking for pull/pry resistance it is great for protection and outdoor applications. It has an upgraded key way for additional corrosion protection. The Yale protector laminated steel padlock 55mm is tested to EN 12320:2012 and is suitable for garages, sheds, outdoor storage, cellar doors, gates and boats.